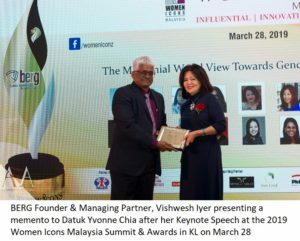 Kuala Lumpur, March 28, 2019: Women Leaders, Professionals & Entrepreneurs from diverse sectors based in Malaysia came together at a glittering nite of celebration & networking at the 2nd Women Icons Malaysia Summit & Awards held at Le Meridien Kuala Lumpur Hotel today. 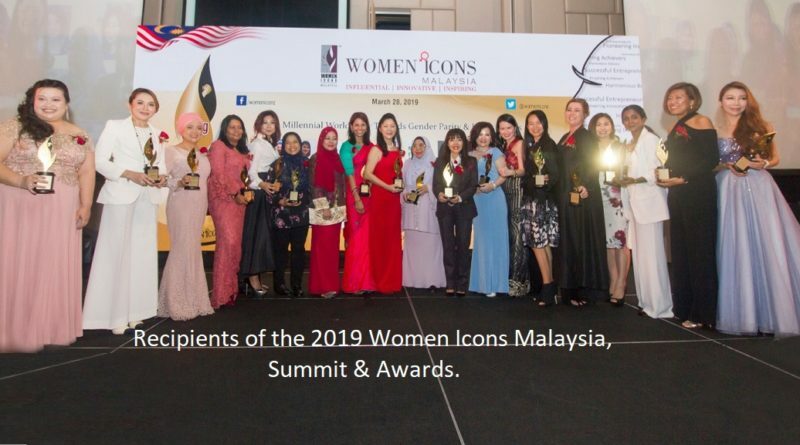 The Awards that followed the summit presented the Women Icons Malaysia Awards 2019 to some of the chosen Women Achievers resident in Malaysia, in celebration of their grit and achievements. 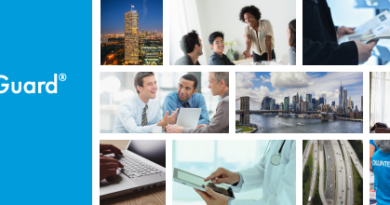 An initiative by Singapore-headquarted Business Excellence & Research Group Pte ltd. (BERG), Women Icons www.womenicons.com is a premier regional platform that celebrates and honours the accomplishments & contributions of women who have excelled in different spheres of life. 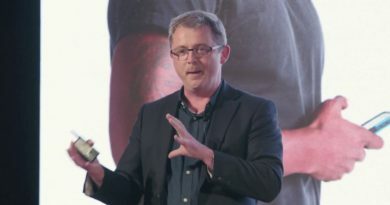 The Women Icons Network (WIN) is also in the process of creating a Gender Parity Index that will measure the levels of gender diversity across organisations in South East Asia. The summit theme was “The Millennial World View Towards Gender Parity & Inclusiveness”. The panelists comprised of Datin Kalavalli Sethu, Managing Director, Compass Insights, Ms Faridah Hameed, Founder, FaridahHameed.com, Ms Amy Seok, Founder-CEO, Money Compass Media Group and Mr Victor Tay, Former Vice Chairman, United Nations Global Compact. 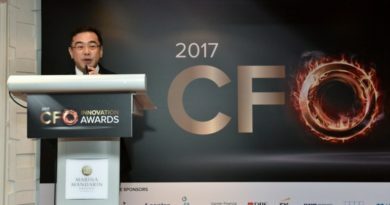 Vishwesh Iyer, Managing Partner & Director, BERG Singapore said “It is very exciting to host the 2nd edition of Women Icons Awards in Malaysia. We would like our initiatives under the Women Icons Network to be a catalyst for rapid change in societal mindsets to bring about Gender Parity & Inclusiveness in the work & social environment”.